Upon successful completion of this class, you can apply for your Concealed Weapon License in Wisconsin. 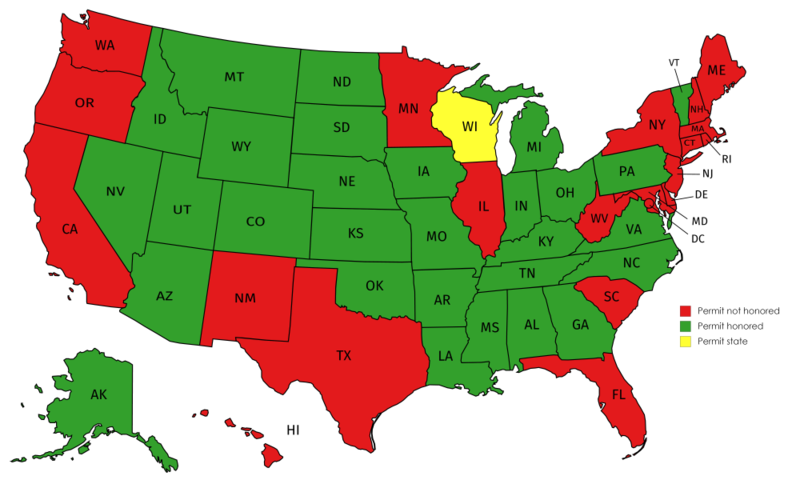 The Wisconsin license is valid in 31 states. Minnesota and Florida training are also available at most locations. By adding the Florida license, you may carry in a total of 36 states. Adding a Minnesota permit will allow you to carry in Minnesota. Designed for those wishing to secure a Wisconsin Concealed Weapon License. MN and FL training are also available at most locations.